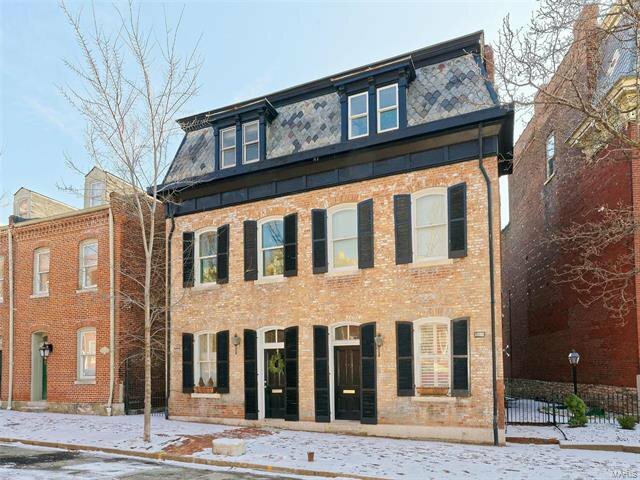 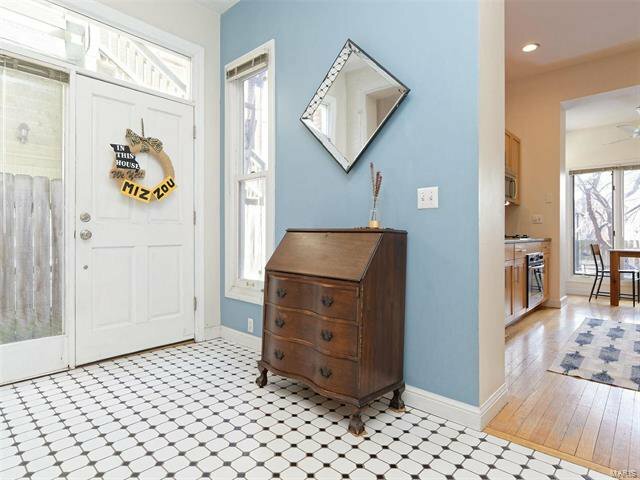 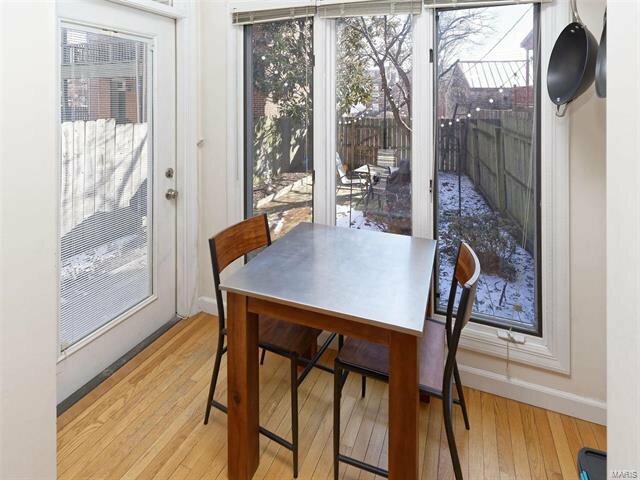 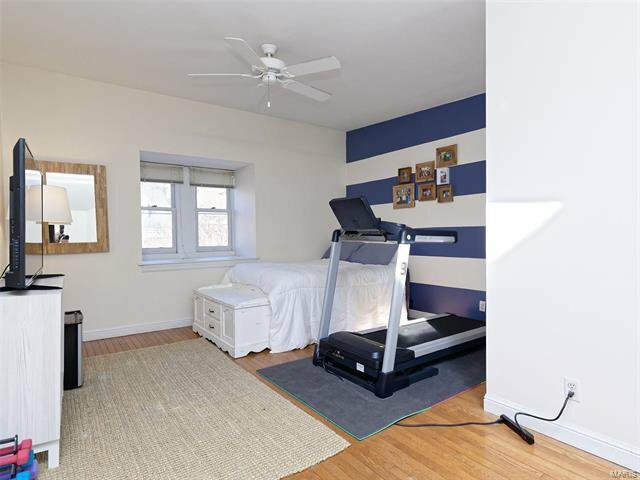 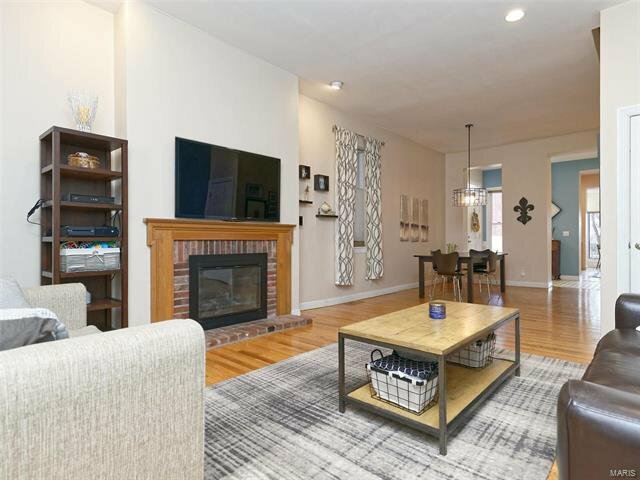 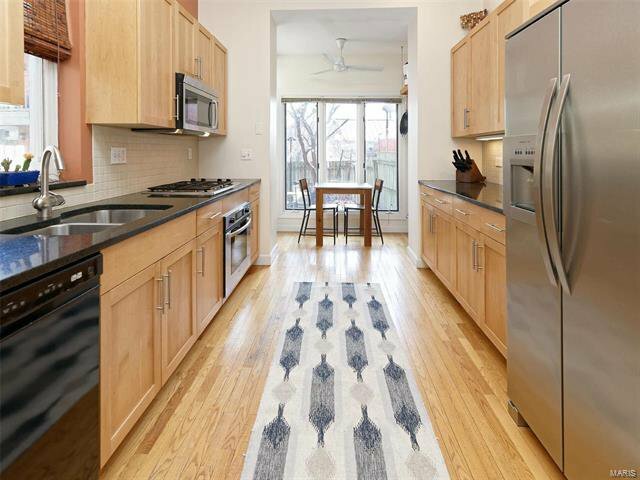 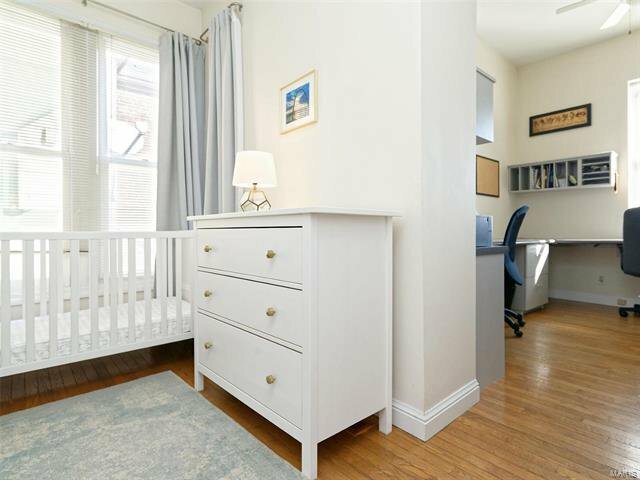 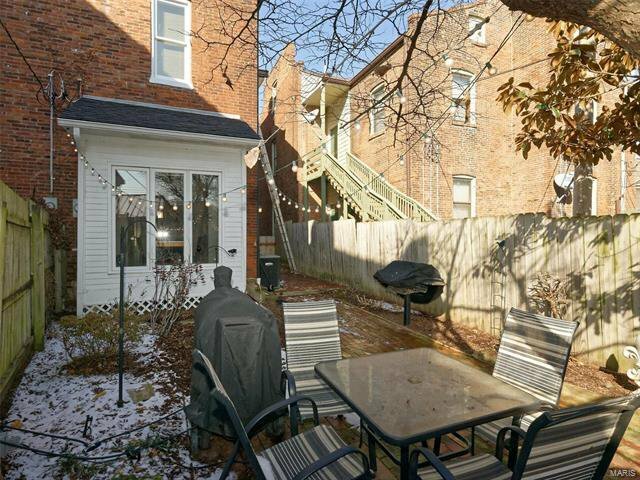 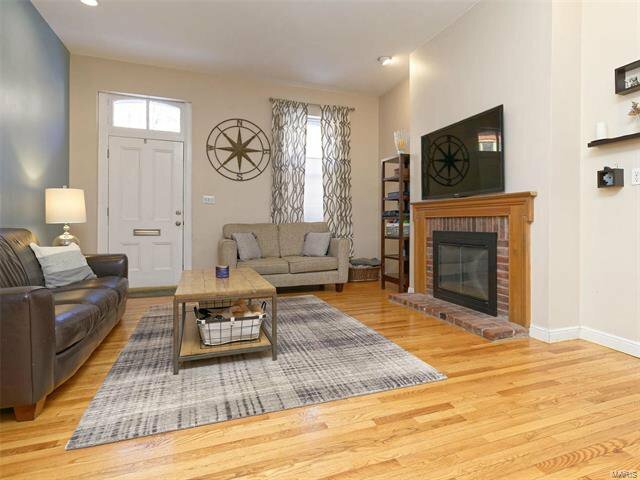 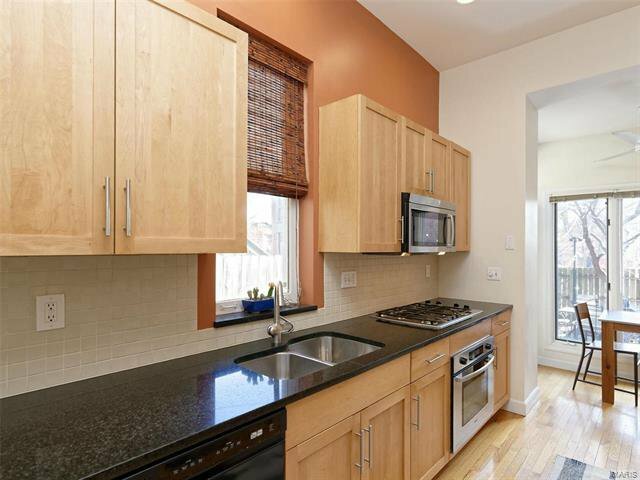 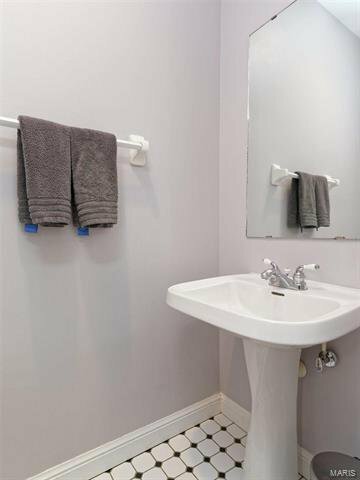 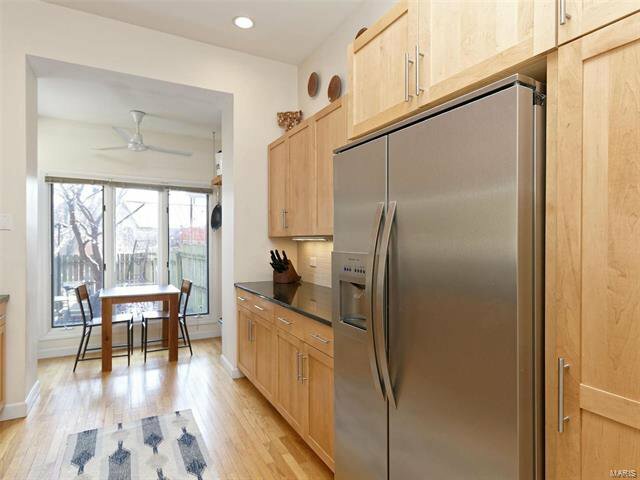 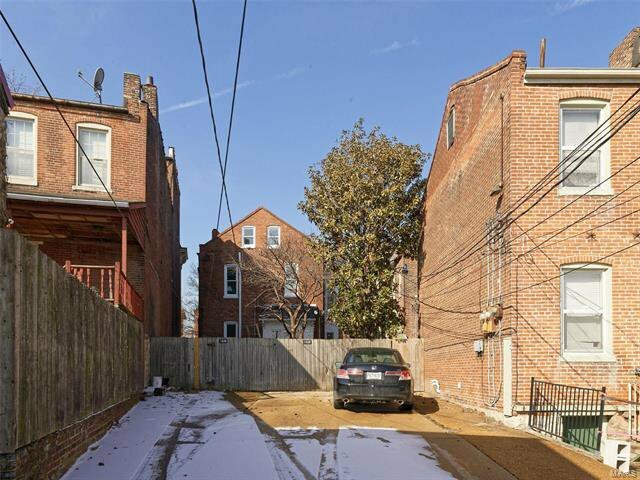 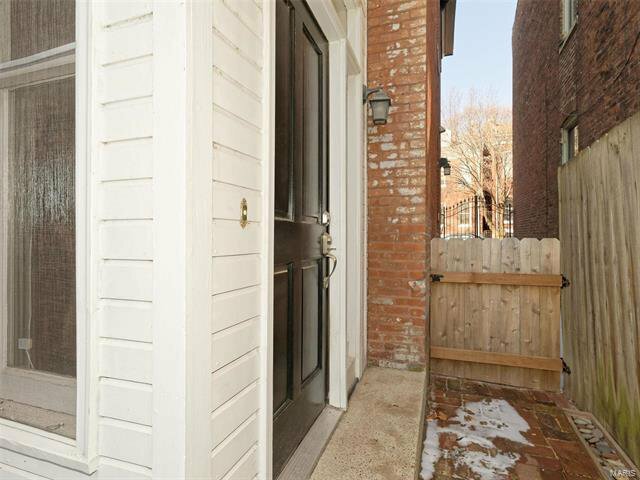 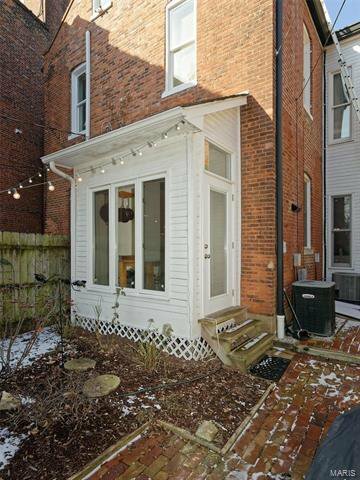 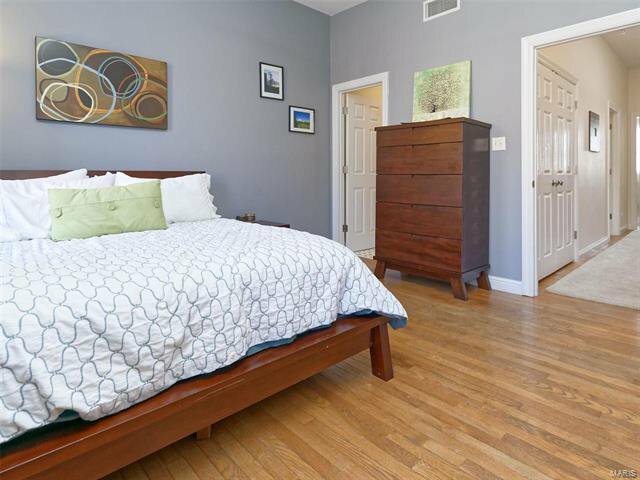 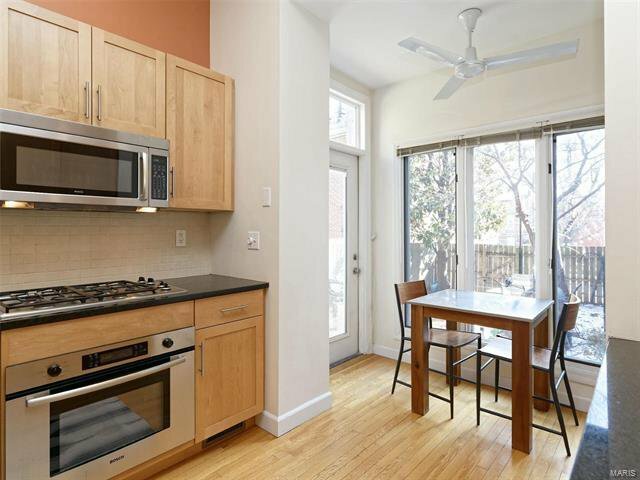 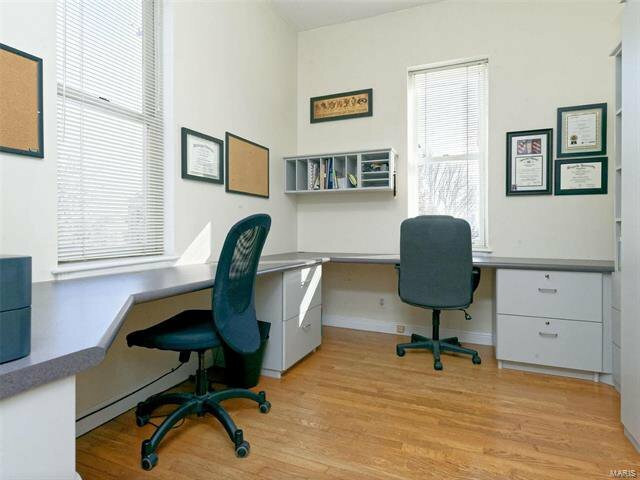 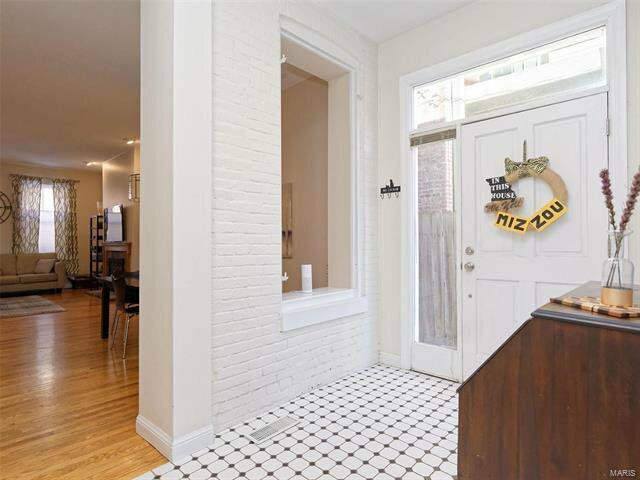 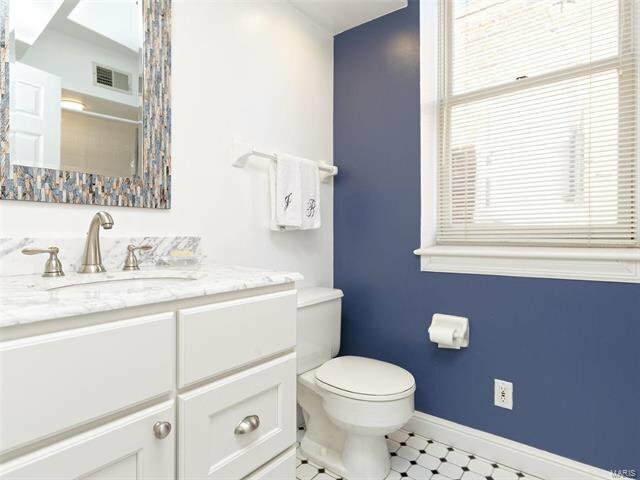 Sharp, updated townhome in Historic Soulard, community of the gardens**Gourmet kitchen w/maple cabinets, Brazilian granite counter tops, stainless steel appliances, under cabinet lighting w/charming breakfast nook that looks out to the private fenced yard. 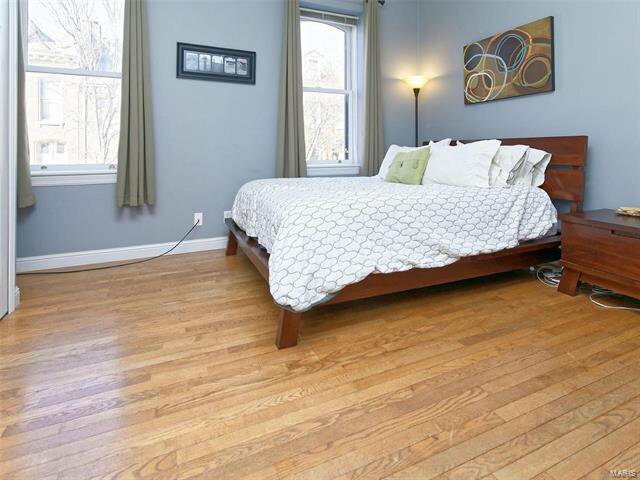 Gleaming hardwood floors throughout most of the home. 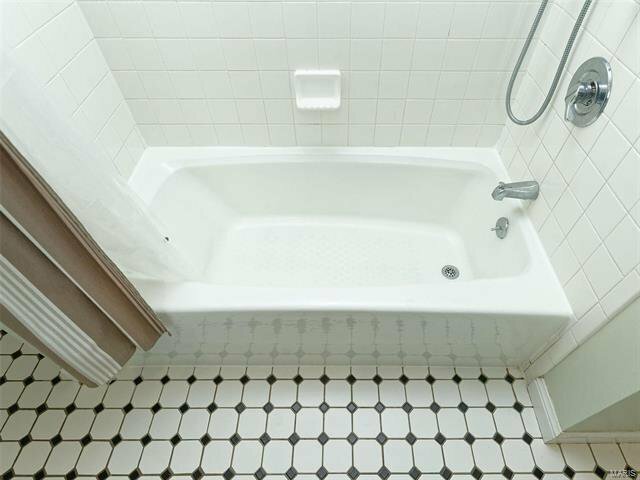 Mastersuite adjoins an updated bath w/double vanity & built in office is also 2nd bedroom( murphy bed), den, & laundry**3rd floor boasts the third bedroom & updated ('16) full bath**new roof, resealed skylight, side wall tuckpointed & Chimney caps '19, rear brick wall tuckpointed, ext trim painted (windows and fascia)'18**Third floor HVAC replaced '17....updated third bath '16, read office windows replace '18, fpl insert '13, replaced all hardward to stainless '16, LED lighting added '18***these sellers has paid attention to updating and maintaining this home***two car tandem off street parking. 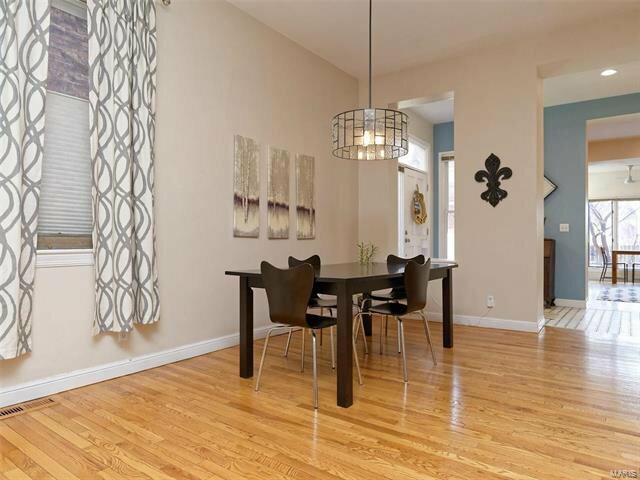 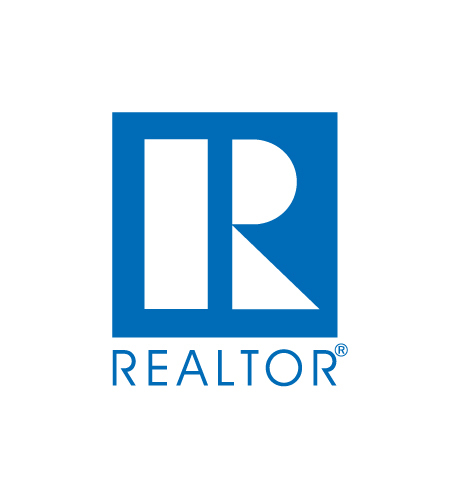 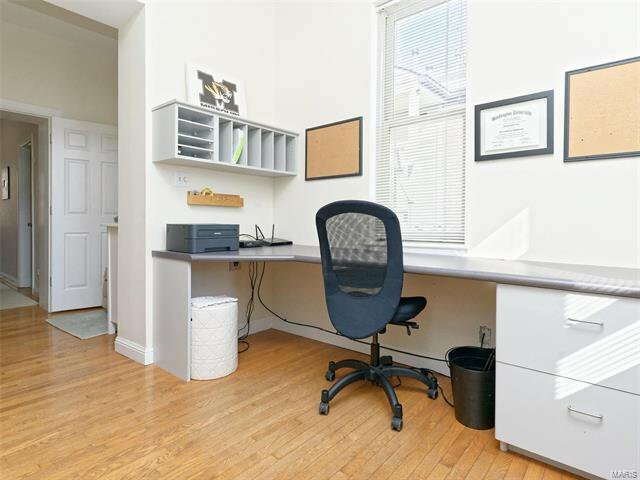 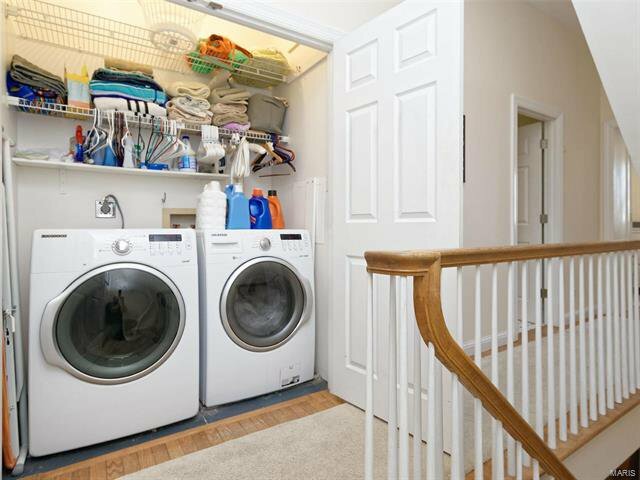 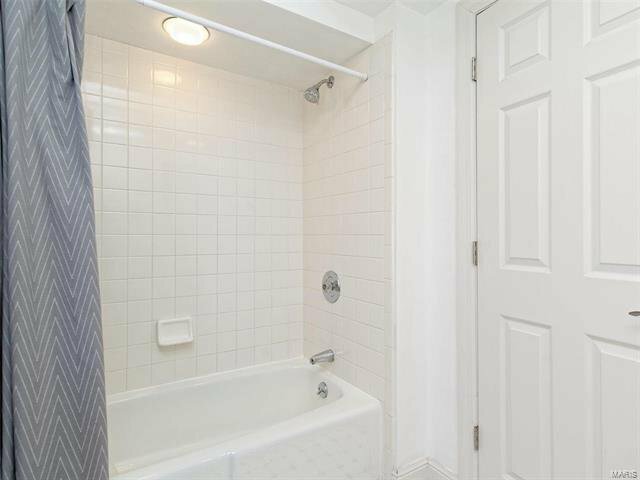 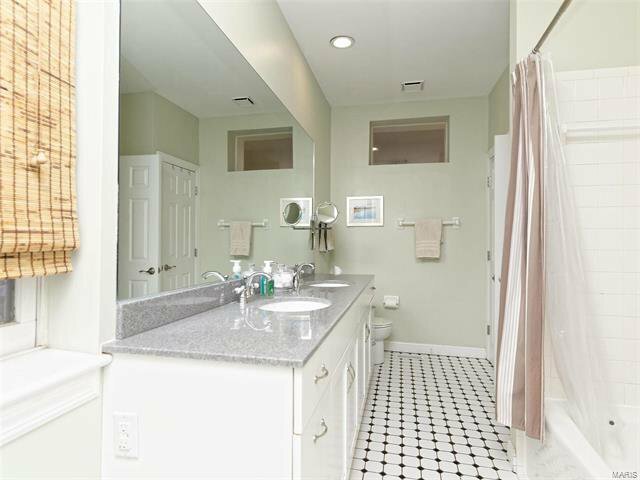 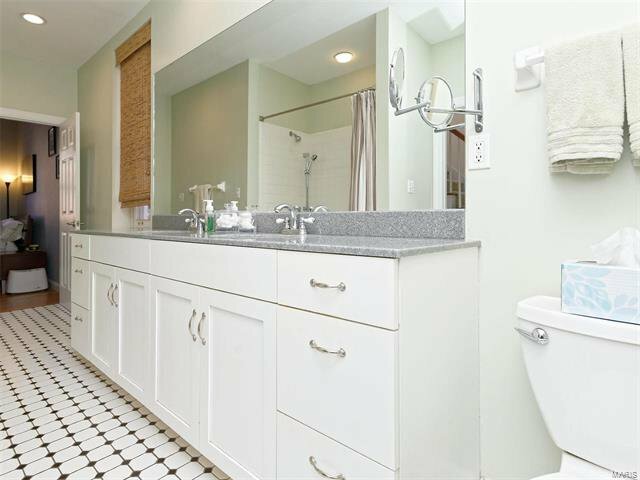 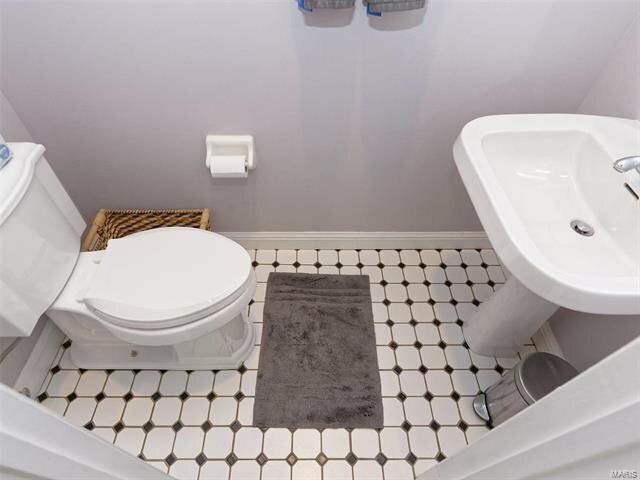 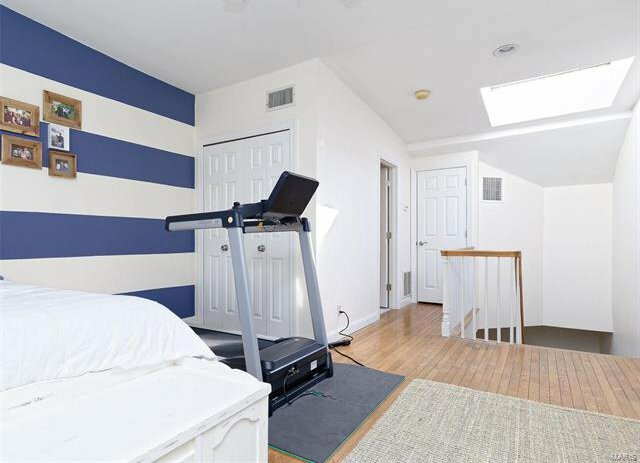 All these amenities within walking distance to restaurants, shops & parks. 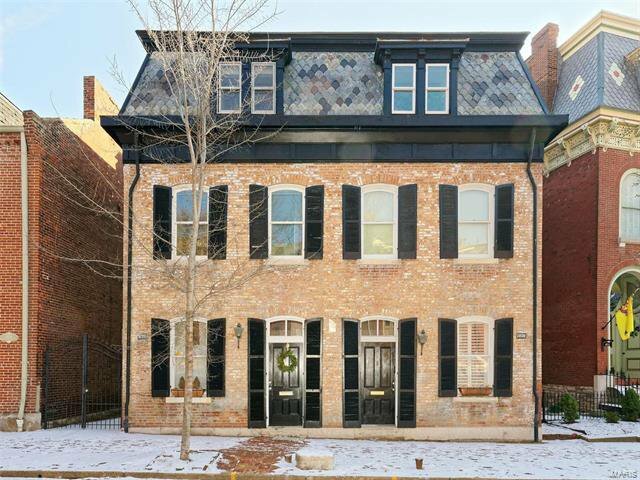 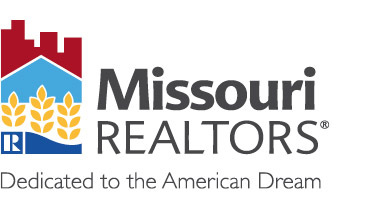 Listing courtesy of Realty Executives of St. Louis.